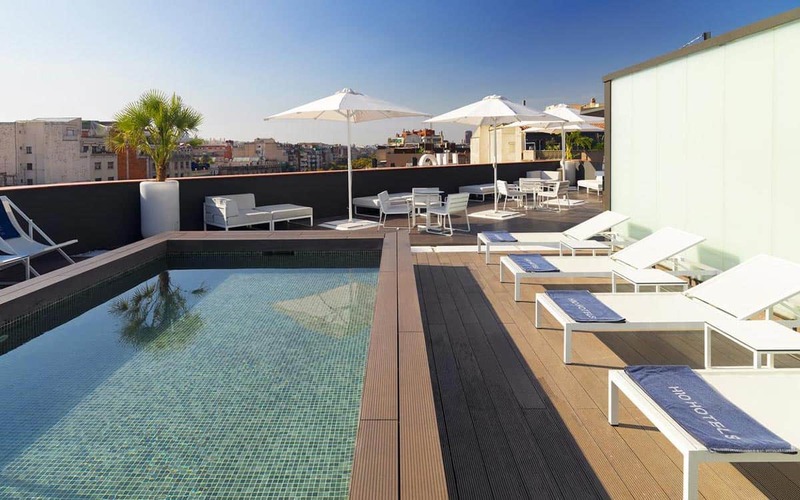 The four-star H10 Universitat is just steps away from two of the most central metro stations in the city – Plaça Catalunya and Plaça Universitat. Arriving here from the airport couldn’t be any easier. It’s on the border of the Eixample neighbourhood and the Gothic city centre. 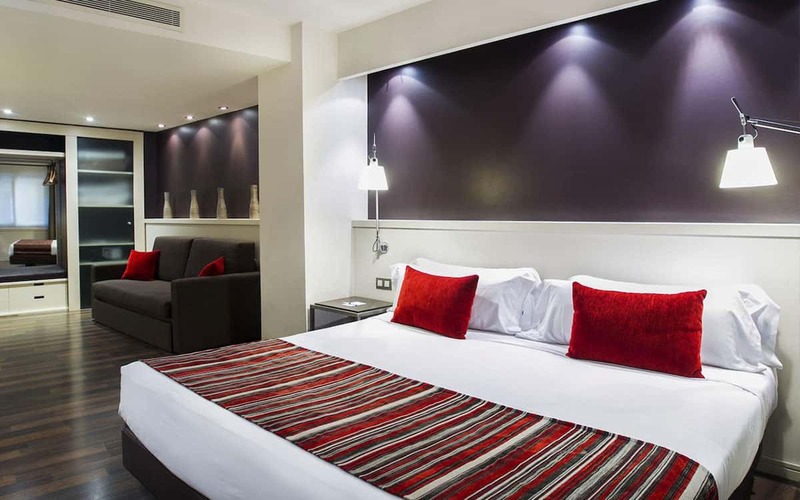 The H10 Universitat is in a restored 19th century building with comfy rooms and modern interior design. 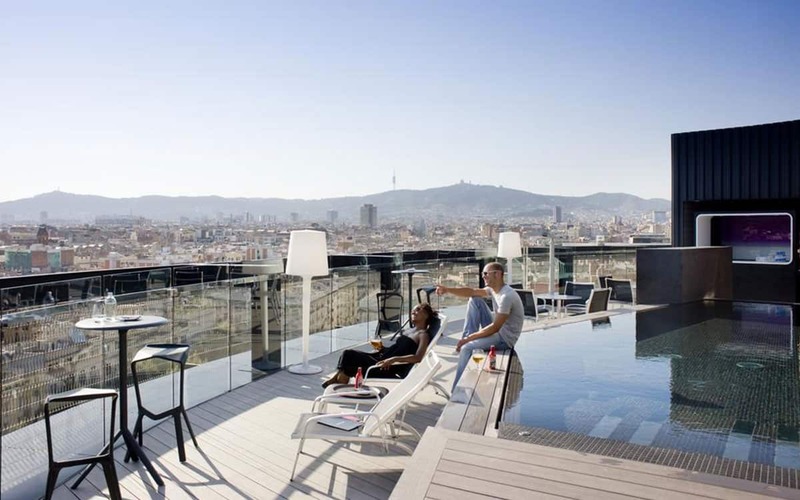 Go up to the rooftop to enjoy the pool and terrace, which give you excellent views of downtown Barcelona. 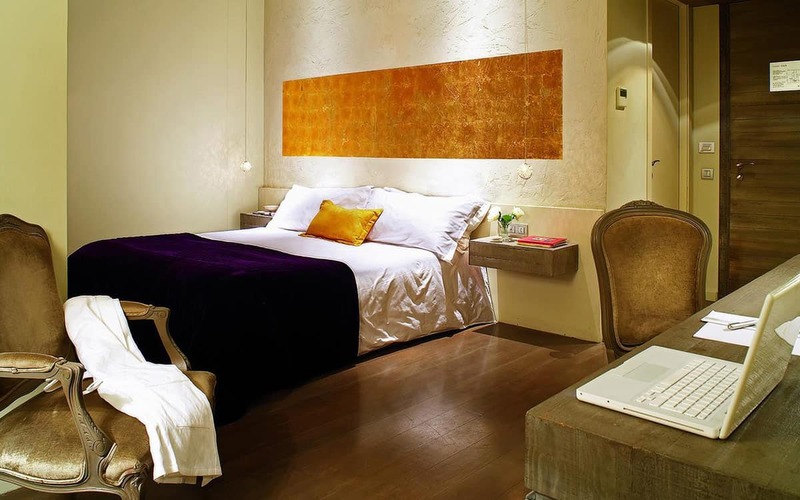 There are 94 rooms, all of which come with free wifi, flat screen TVs, writing desks, fully-equipped bathrooms, safe boxes, minibars, phones, and either a king-size bed or two single beds. Parking is available for an additional charge. 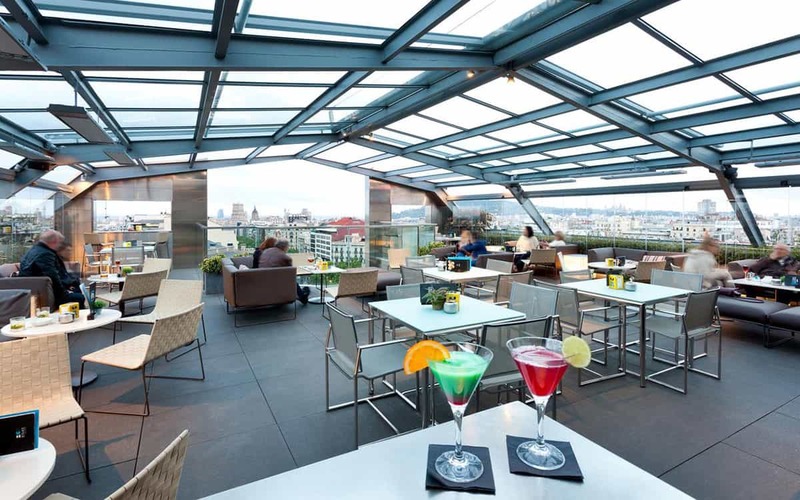 The H10 has three eateries – the Urban Restaurant, which serves a breakfast buffet, the Moments Lounge Bar, and the Twenty One Terrace Bar (which only opens during the summer season). In addition, there are two meeting rooms that can fit up to 80 people for all kinds of meetings and events. Thinking about apartments instead? Check out our guide here.